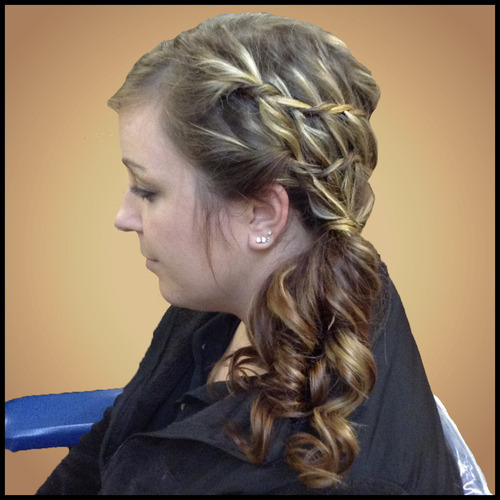 Have you fallen in love with the latest formal trend… the Waterfall braid? Well let’s take it to the next level. 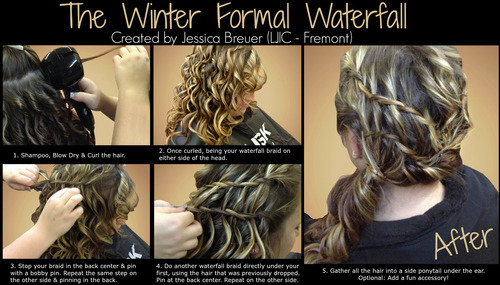 Check out this Winter Formal Waterfall look created by Jessica Breuer (Cosmetology Student at La’ James InternationaL College – Fremont). 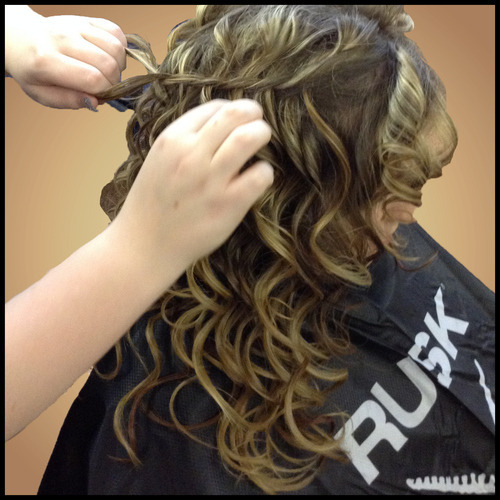 Step 2: Once all the hair is curled, begin a simple waterfall braid from the front to the back center. Step 3: Stop your braid at the back center & use a bobby pin to secure. Now repeat steps 2 & 3 on the other side of the head. 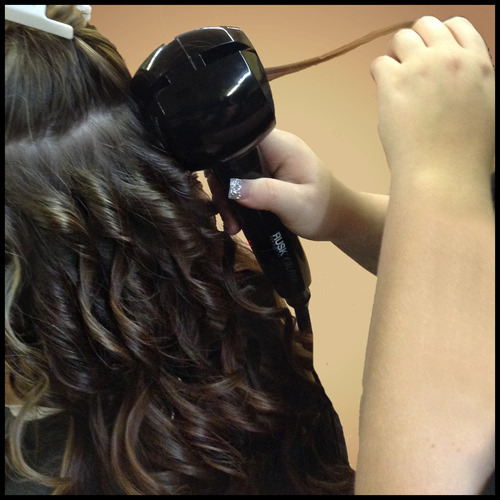 Step 4: At this point you should have one waterfall braid on each side of the head that meet at the center. 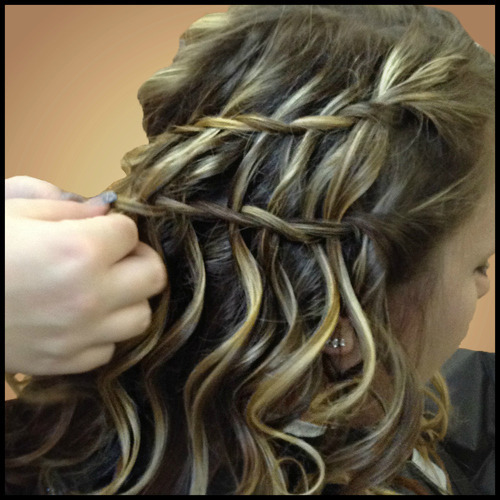 Next start a second waterfall braid directly under your first braid. Make sure to use the hair that was dropped from the previous braid. 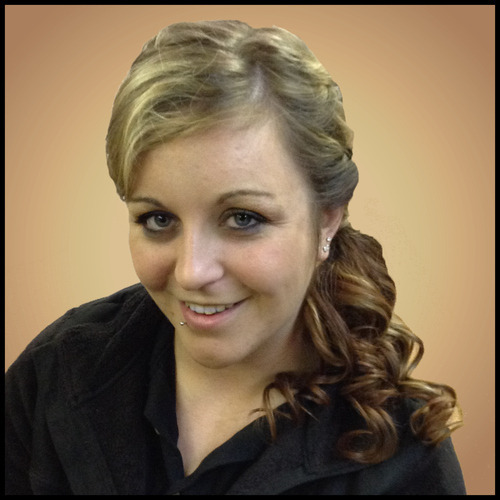 Secure your braid with a bobby pin at the back center and repeat on the other side of the head. 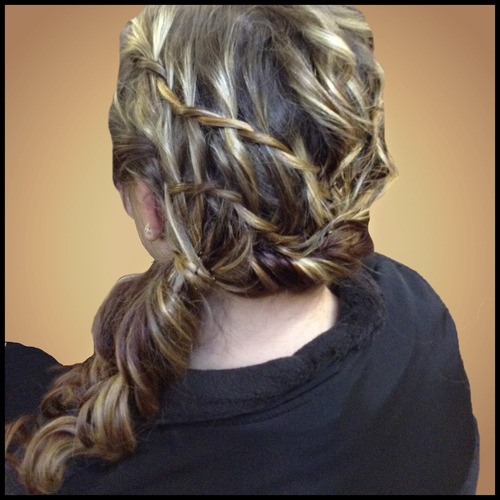 Step 5: Now you should have two waterfall braids on each side of the head that meet at the center. Continue by gathering all the hair into a side ponytail and securing with an elastic/ponytail holder directly under the ear. For some extra pop, add a little accessory to match your Winter Formal dress. 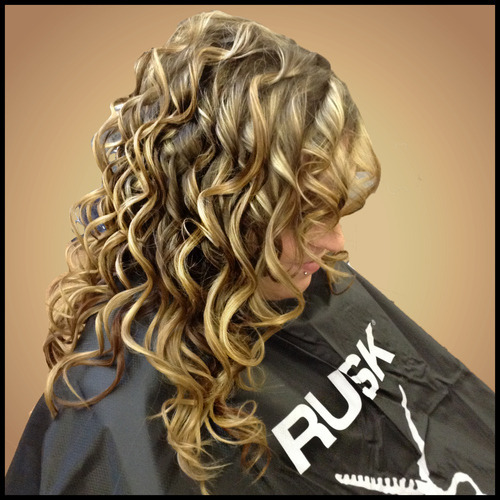 Here is the final Before & After created by Jessica Breuer (Student – La’ James International College – Fremont). 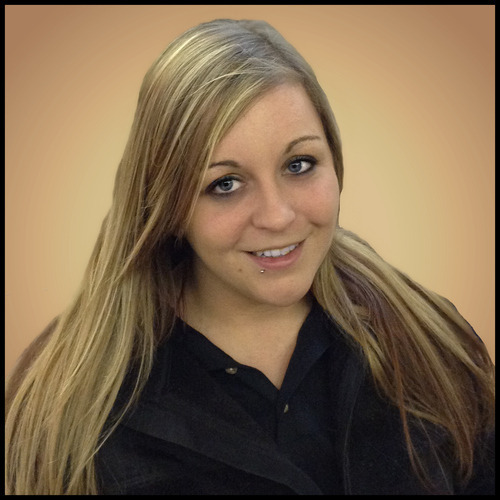 Beautiful Job Jessica! Follow along as we share a new tutorial every Tuesday.